One Bridge Place is located in the heart of downtown Charleston, West Virginia. Stunning river views and amazing character and charm can be yours when you choose to locate your office in this historic building with all of the modern amenities that your business requires. Enjoy responsive, on-site management, as well as a host of wonderful amenities at One Bridge Place. The region’s finest and most reputable businesses are located at One Bridge Place in historic downtown Charleston. 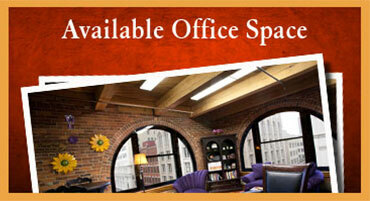 Our suites are fully customizable to meet the needs of your business and your customers. This fine location is tastefully decorated both inside and out to assure your customers that they are choosing the very best. Your professional image is strongly associated with the quality of your facility and the amenities offered. Financial institutions, banks, and reputable small businesses are amongst our clientele. At One Bridge Place, we are committed to ensuring that you have all of the necessary modern conveniences while enjoying the beauty and structural magnificence of our building’s attractive architecture and prime location along the Kanawha River. One Bridge Place is conveniently located at the intersection of Virginia and Hale Streets. Find us at 10 Hale Street. We offer five floors of office suites, conference rooms, break rooms, and more for you to choose from in an extensive variety of sizes and configurations. One Bridge Place is dynamic. We work hard to accommodate the needs of each of our clients. Complete structural customization is available to meet a wide variety of business needs. We offer short to long-term lease options to meet the changing needs of your business as it grows. One Bridge Place offers one of the best values in premium office space in Charleston. 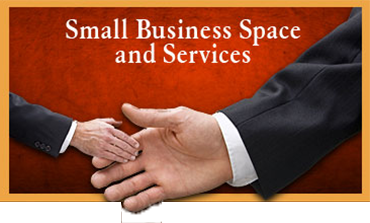 We offer our smaller business clients several cost-saving features while allowing full access to our amenities and business conveniences. Contact us to learn more about spaces currently for lease at (304) 539-6140.